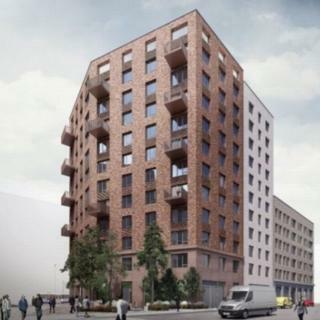 An 11-storey block of flats with just four "affordable" homes can be built, a government inspector has ruled. Bristol city councillors have been left "deeply frustrated" that Legal & General was granted planning permission for the 120 apartments in Temple Quay. Members had insisted the project should not go ahead unless 23 of the flats could be rented at affordable rates. Legal & General argued that would make the project "unviable" and the inspector ruled in their favour. The development will be six storeys high in one block and 11 storeys in another, with "shops, restaurants and bars on the ground floor". Council officers are now writing to the planning inspectorate to demand "urgent clarification on the rules" governing whether or not developments should be approved. "It causes us an issue because we do not know how to advise you if we don't know where the planning inspectorate is going to go on these issues. "If it is a total guessing game each time, it is not hugely helpful," he added. A shortage of affordable homes in Bristol was highlighted by the city's elected mayor during his annual address last October. Speaking then, Marvin Rees described it as "one of the biggest challenges facing the city and one that we tackling head on". Launching its own housing company Goram Homes, he pledged to build 2,000 new homes, including 800 available at lower rents, by 2020.